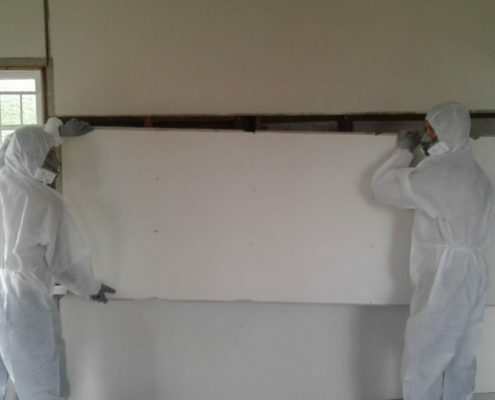 Licensed asbestos removal contractors are to be used for the safe removal of asbestos for amounts greater than 10m2. 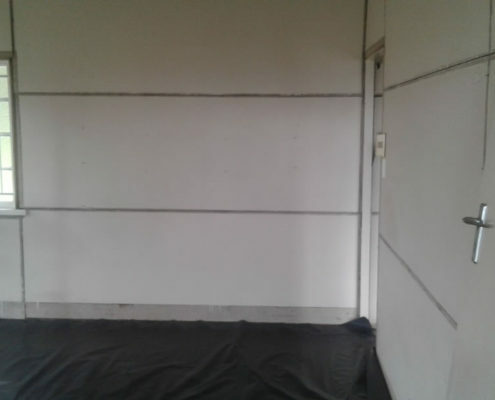 Before asbestos removal commences, nearby neighbours are notified of the removal procedures and possible safety precautions which are recommended to be undertaken. 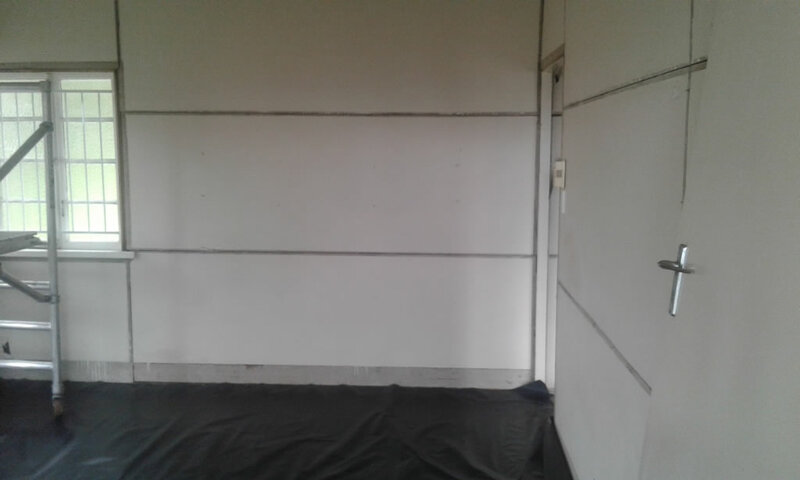 Asbestos is removed with minimal breakage and kept wet to avoid partials in the air. Our team wears complete Personal Protective Equipment according to OHS. 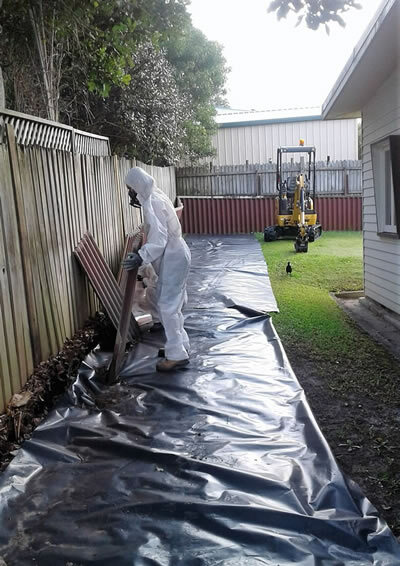 The material is then double wrapped in (minimal 0.2mm) plastic which is labelled “ASBESTOS” and are taken to asbestos approved dumping sites. (Note: all our trucks are EPA approved to carry asbestos materials). Asbestos containing materials can be categorised into friable and non-friable. Airborne asbestos fibres are small, odourless and tasteless. 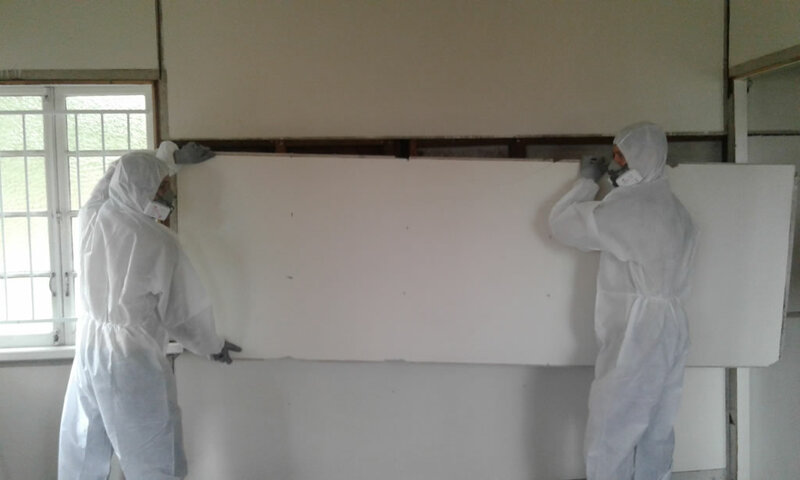 It presents a health risk when it crumbles and the fine fibres become airborne, if asbestos is disturbed these fibers may be released into the environment and inhaled into the respiratory system. Non-Friable Asbestos (Bonded) – This is when asbestos fibres are bonded to another material; such as cement or resin binder. It cannot be crumbled, pulverised or reduced to a powder by hand pressure when dry. This type is most commonly found in our built environment. Friable Asbestos – Asbestos-containing material which, when dry, is or may become crumbled, pulverised or reduced to powder by hand pressure. Weathering, physical damage, water damage and natural disasters are common causes of this type of asbestos becoming airborne. Buildings, houses and flats erected before 1990 may contain asbestos. Asbestos is often found within soil where building, houses and flats have been demolished.